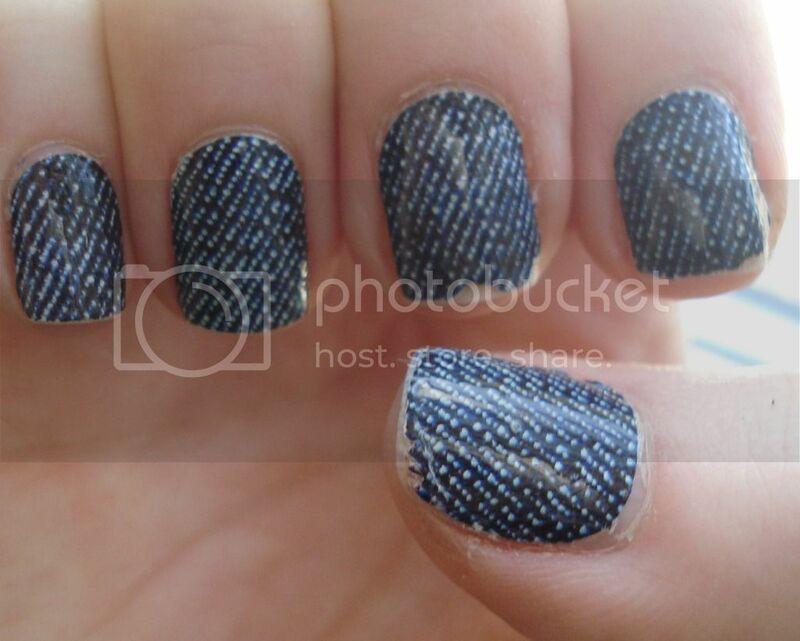 I chose Skinny Jeans, a dark blue pattern that resembles the texture of denim. The nice thing about these is that they look solid from a distance and match any outfit, but have enough texture to keep them looking interesting and not like regular nail polish. Application was a cinch – I’d say it probably took me 40 minutes to do both hands. That might sound like a long time, but keep in mind that you avoid messy cuticle cleanup, the stench of nail polish fumes, dry time, and the risk of doing a messy job. This is how my hands looked after 5 days. They don’t look bad at all except for that major chip around the pointer cuticle of my left hand (it got snagged when I was shampooing my hair). I could have worn these longer, but I’m really finicky about chipped nails. The package promises wear of “up to 10 days” so I was satisfied with 5. I think after 10 days I would get sick of them; I have nail polish ADD! 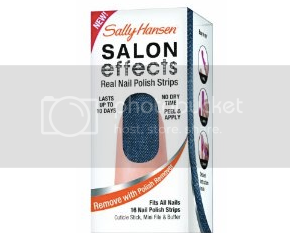 Sally Hansen real nail polish strips, I found, are a major pain to remove. I had to scrub at each nail with my acetone remover for about 5 minutes each! True, that speaks to the sturdiness of the product, but it also dissuades me a little from using them again. But I’m sure I will, because, again – cute AND high tech! I got lots of compliments when I was wearing these, even from men who don’t usually have nail polish on their radar. 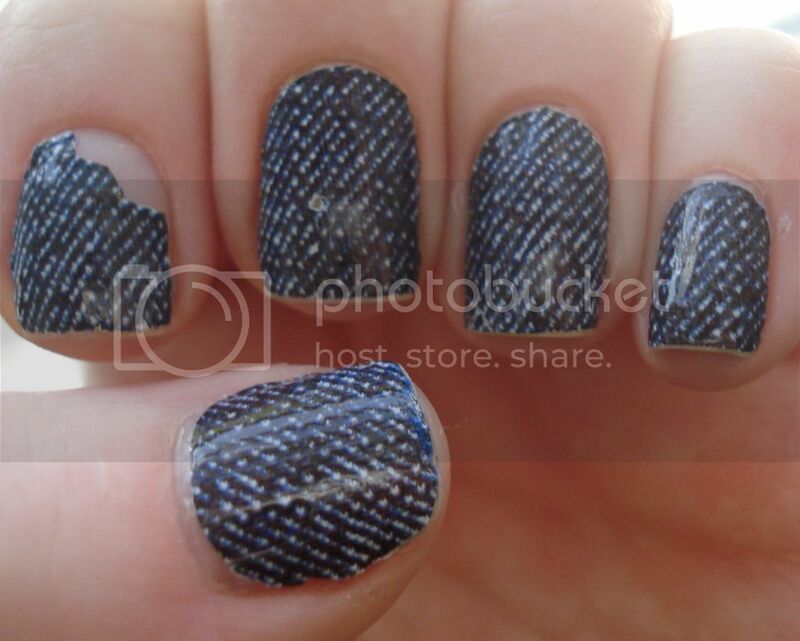 Have you used Sally Hansen’s nail polish strips? What do you think about them? It’s been a long while since I’ve done a tutorial so I figured I’d carpe diem. 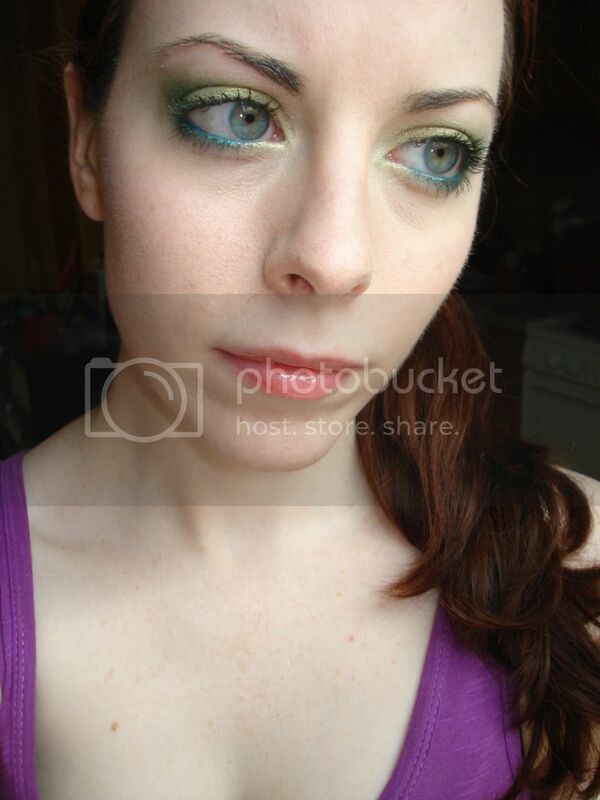 I’m using a Maybelline eyeshadow palette called Forest Fury. There are very mixed reviews about this palette out there but what can I say, I’m on a palette kick and I’m a sucker for greens! Today we’ll be creating this look. Click through to read more! I snagged these polishes at my local Walgreen’s for about $5 a bottle. They are from the Insta-Dri Fall 2011 collection. Normally I don’t bother with this line because the colors don’t call my name, but these I had to get. 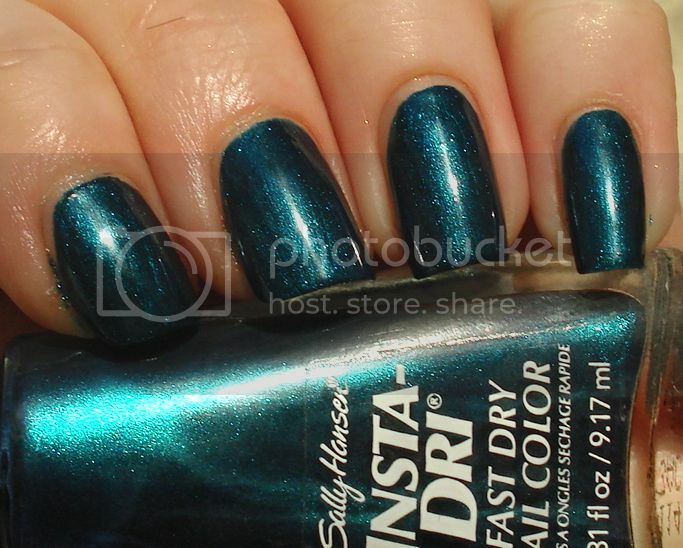 Teal-y Fast (groan, that name) is a richly pigmented teal foil. This applied like buttah in two coats. The photo below is in indirect sunlight. 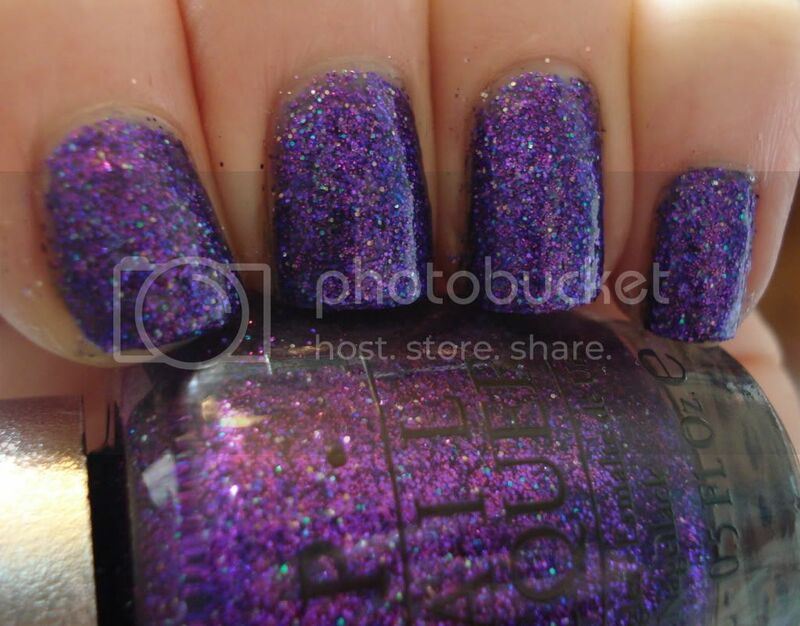 Although there’s a hint of a purple duochrome effect in the bottle, it doesn’t translate to the nail. I don’t mind though because this color is so scrumptious. Bronze Ablaze also applied wonderfully with no muss. 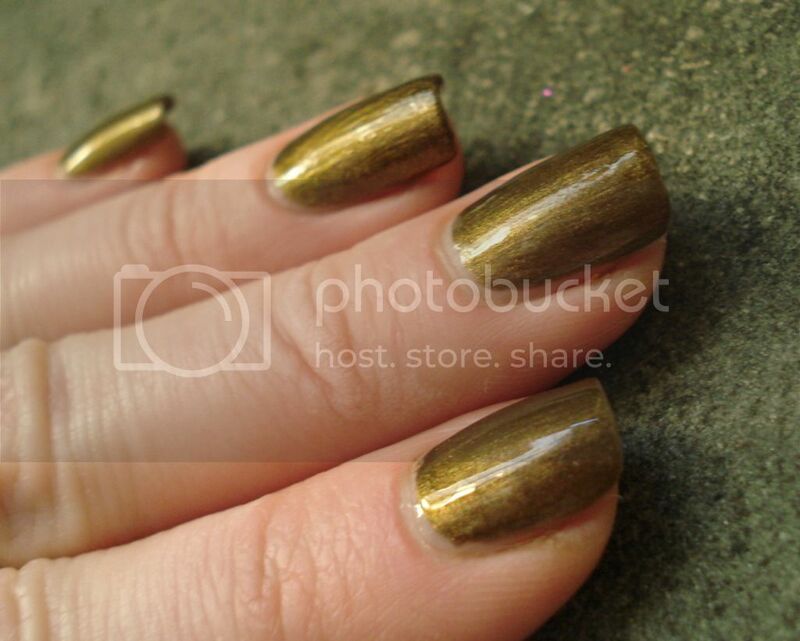 It’s a rich metallic bronze, really the quintessential fall shade. The wrinkling you see on my ring finger is not from Bronze Ablaze, but from my Seche Vite which I slopped on too thickly methinks. True to their names, these dried in a flash and would be perfect for a quickie manicure when time is short. 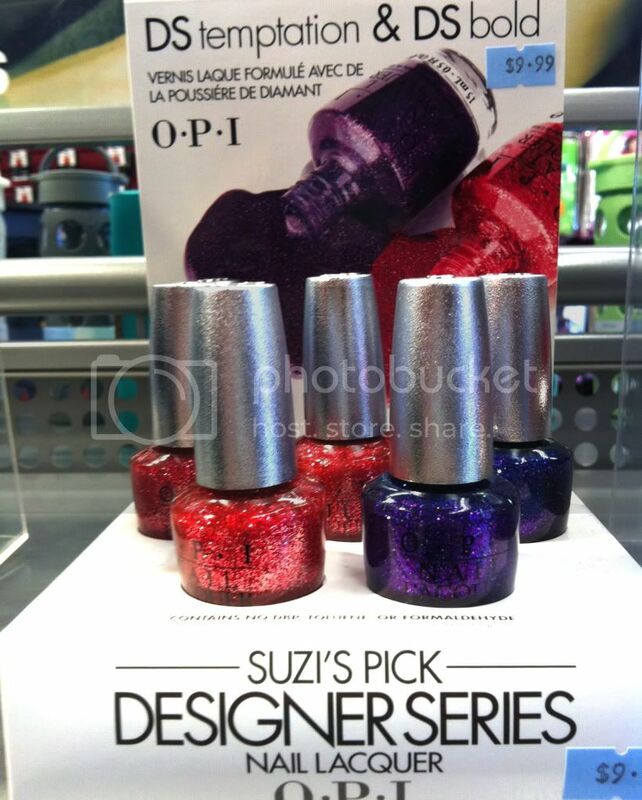 Here are the latest OPI DS polishes for Fall 2011, two glitters in red (Bold) and purple (Temptation). 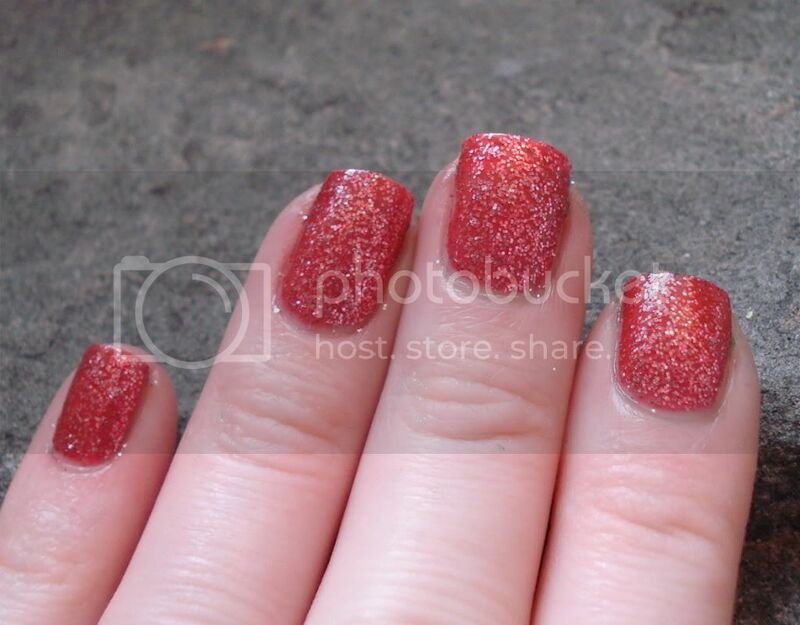 Bold is a pale silvery pink glitter in a red base. The base is darkly tinted so it builds up nicely on its own. While this polish is OK, I’m not really thrilled about it. 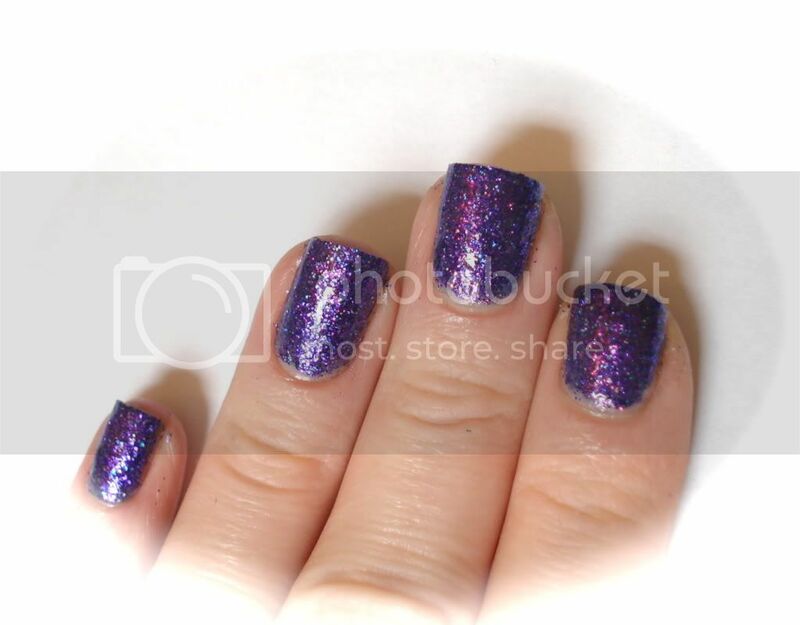 Temptation is a deep purple glitter with specks of blue and silver in a blue base. I found this to be the more appealing of the two since I’m a sucker for purples. Apologies for the non-existent cleanup – that glitter did not want to budge from my skin. That was a turnoff. Maybe I was just having a bad polish day, but I couldn’t for the life of me get a clean gap. Although these colors are OK, I don’t have too much to say about them. 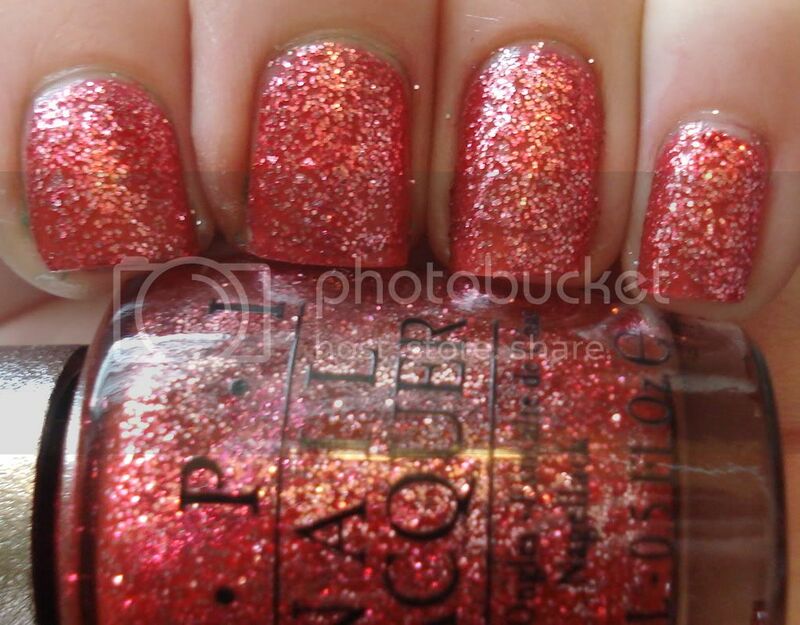 The glitter was very gritty and needs about 2+ layers of topcoat to even out. I purchased these up from Ricky’s (an NYC beauty retailer) for $9.99 a bottle. What are your impressions of this new DS series – will you skip them or scoop them up? 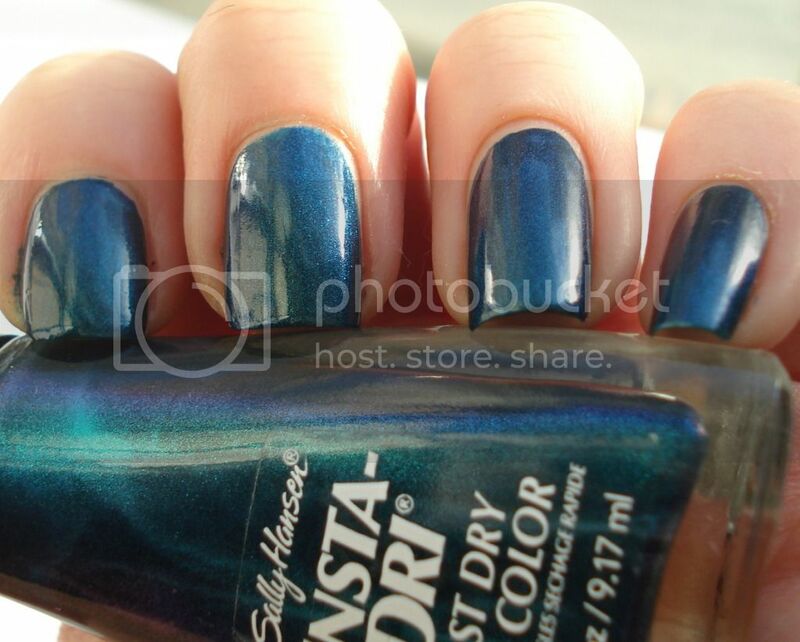 Here is a comparison of two greens by Sinful Colors. I got these at my neighborhood Rite Aid for about $1.99 a bottle. What a stunning color! 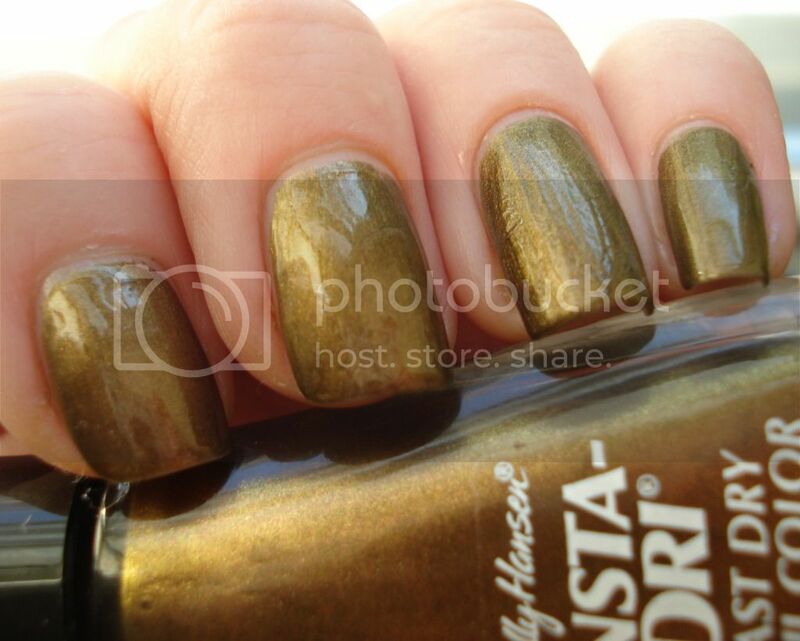 Sinful Colors Show Me the Way is a golden green with a glass fleck finish. It is so alive and glowy! I used 3 coats here. Although the nail line is pretty visible in these photos, it wasn’t in real life. HD Nails is a cooler-toned green pearl. Application was buttery smooth. This is three coats. This one really comes alive in bright sunlight. I added black tips, too, with Wet N Wild Creme Black.